1 K from downtown Angaston on Crennis Mines Road on left after Radford Road. Check In at Lambert Estate Wines, 55 Long Gully Road, Angaston. Office open 11 am - 5 pm daily. After hours check-in is available. Free internet, 3 bedroom, 2 bathrooms, full kitchen, & service for 8, TV room, Family room, bar, outdoor gas grill & seating for 8 property with views of the Valley. Special discounted rates currently apply as outdoor landscaping not yet completed. Located on property nearby is the new Lambert Estate gravity feed winery, tasting room, restaurant, event center for 300 + people. Built into the side of a hill hidden by large old gum trees. 100% green and sustainable in all aspects. Free internet. 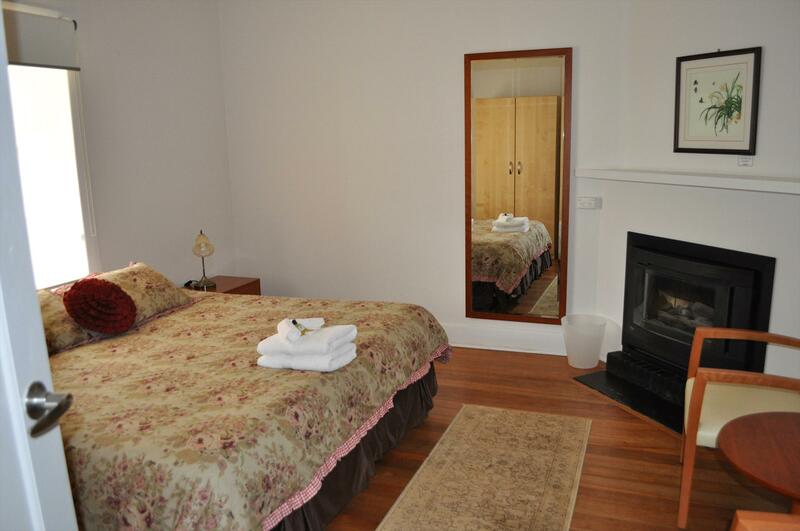 Retreat, relax and sample life in the Barossa. Nestled on the edge of Lambert Estate and on the outskirts of Angaston, the Lambert Estate Retreat, is a recently renovated 3 bedroom home minutes from the attractions of Angaston, Nuriootpa and Tanunda. Recently renovated the Retreat features ducted heating and cooling, free internet, 3 bedrooms (one with gas fireplace), 2 large modern bathrooms (one with spa), a large family room with bar and picturesque views and a TV room with large plasma TV. The fully equipped modern kitchen with dishwasher and laundry area provide you with the comforts of home. Relax on the large patio at the rear of the property and enjoy the views. Enjoy breakfast, lunch or dinner outdoors with the new gas BBQ, outdoor kitchen and dining for 8 people. Maximise the Estate experience with a visit to the Cellar Door and Restaurant located on the same property. Lambert Estate Retreat is approximately an hour drive from Adelaide.